Get active for healthier Morava rivers! 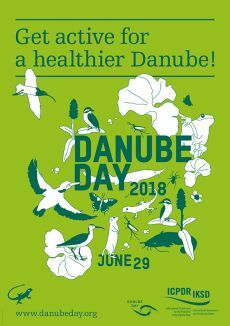 In Prague, Danube Day was celebrated at the Water Research Institute Open Day. Visiting groups from primary and secondary schools enjoyed water related activities, puzzles and videos. They learned about the Danube rivers and the importance of international relations. Bilateral Czech-Austrian cooperation was used as a case study of what can be achieved when countries and communities work together. In Moravia-Silesia, the village of Mosty u Jablunkova dedicated its annual 'Children's Day' to the Danube rivers. Toddlers to teens enjoyed river-themed puzzles and creative eco activities aimed at fostering basin-wide solidarity. To see how all the countries celebrated in 2018, go to Review 2018. You can also revisit 15 years of Czech Danube Day celebrations via the general Review page.